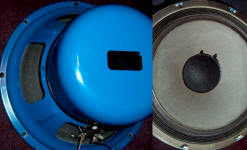 USED / VINTAGE SPEAKER PARTS / SPARES / COMPONENTS / DRIVERS. Used / Vintage stereo replacement speaker parts / spares / speakers, drivers, woofers, tweeters, mids, cross overs / crossovers for reference and occasional sale if available. Audio-Select, ACOUSTIC 'STUDIO MONITOR / Acoustic Image 12.3 ' (white van speaker scam guys) 3311 Avid 100 speaker parts, Celestion-Rolla-Ditton, Criterion-Lafayette, Focal, Frazier, Innovative Sound Systems ISS, JVC Tweeters, Subwoofer, KEF woofers, tweeters, mids, midranges, KLH, M&K, Miller & kreisel MX-90, MX90 powered subwoofer parts / spares, Marantz Imperial IV, HD-55, HD77, HD-550, HD600, HD660, HD770, HD880, SX9, Marantz woofers, tweeters, mids, midranges, Nokia speakers, Olson S-970, Paradigm, Peavey 1505-DT Black Widow Woofer, Peerless, Polydax, PSB 1000, RTR, Utah Celesta C12PC-3 Coaxial, Scan-Speak, SEAS speakers, Sound Craftsmen 2640TX DUPLEX speaker parts. 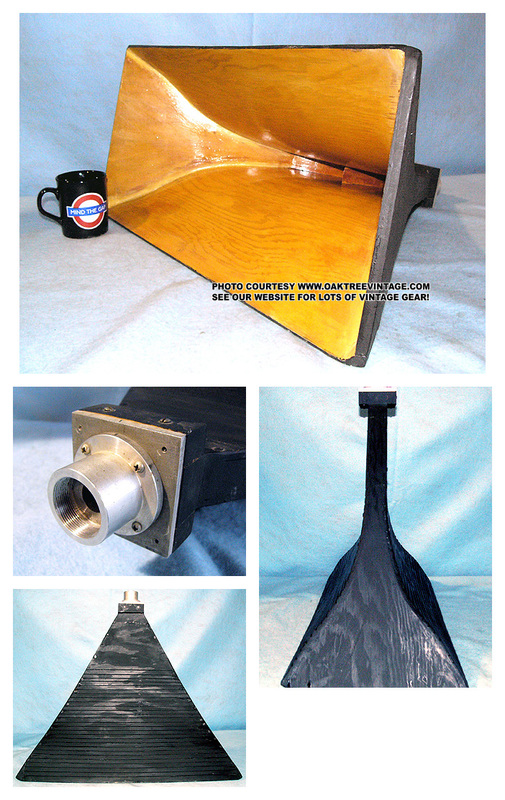 Parts / spares, woofers drivers tweeters grills and cabinets. Data Base info, specifications / specs, reference and occasional sale. Specifications / specs may include maximum power in watts, DCR / Ohms / Impedance, Frequency Response, details of construction and other valuable info. "What's the difference between a 'woofer' and a 'subwoofer'? The following is applicable primarily to '2-channel-home audio' applications. Which brings us to the questions, "What's the difference between a woofer and a subwoofer?" or "Are these 'Woofers' or 'Subwoofers'? Generally speaking a 'sub-woofer' handles the frequencies below what a woofer can do adequately and will reproduce those frequencies with more force. Depending on the design of a speaker system, the low-end drivers' (woofer) range of required frequencies can extend from as high as 2500Hz (2.5kHz) down to as low as 20Hz, although most larger units bottom out realistically at around 30 or 40Hz and some smaller speakers may only go, practically speaking, down to 60, 80 or even 100Hz. The 'sub' part of 'subwoofer, means that it extends the range of frequencies a system can reproduce down to the lower limits of the subwoofer which can be in the 30Hz, 20Hz or even lower. Theoretically, the 'best' human hears have a range of 20Hz (lowest lows) to 20kHz (highest highs), but even if you can't 'hear' the bass, you can still 'feel' bass down to 1 cycle. Yes, 1 cycle. If someone punches you in the arm, you may not hear the motion of their hand, but you will certainly feel it's 'excursion limits'. That’s '1 cycle'! Practically speaking most subwoofers, reproduce a range of about 120Hz down to 30Hz or 20Hz. So if you have a speaker that already has a frequency response that goes down to 20Hz or even 30Hz, why do you need a subwoofer. Well, in my opinion, for standard 2-channel audio, with quality speakers and a quality amplifier, you don't! However, I can't deny that a subwoofer has its place and in many situations is even desirable. So given that your existing speakers may already go down to a very low frequency response, their woofers are likely also being required to reproduce much higher frequencies, at the same time. The more frequencies a driver (speaker) is asked to reproduce at a single moment, the less efficient it will become at each of those tasks. If a 'subwoofer' is introduced, it can take over the task of reproducing the lower range of the woofers' frequencies and do a better job of it. Secondly, since the lowest frequencies of music / program material demand the most power, many subwoofers are 'self powered' meaning that they have a separate power amp, built-in to reproduce only the lowest, most power consuming frequencies. The powered subwoofers generally also have a 'cut-off' / 'roll-off' / crossover point selector to adjust from maybe 200Hz down to maybe 40Hz (I usually choose something between 120Hz and more likely around 80Hz, adjusting until the vocals disappear from the subwoofer. Maybe not scientific, but has worked for the few hundred systems I've dealt with over the years, from home, car to 'pro-audio'). A side note on using a subwoofer; a 'high pass' filter is a good thing to add to your main speakers if you are using a subwoofer, so that they are not 'wasting' the power from their amplifier trying to duplicate the frequencies that the subwoofer is now covering. This will 'pass' all the frequencies above your subwoofer to your main speakers. Back to the original question, "What is the difference between a subwoofer and a woofer", technically there may not be any difference. It may be more how a driver (woofer speaker) is utilized. 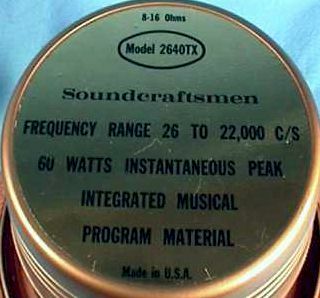 A normal woofer, crossed over for lower frequencies, and installed in a separate cabinet, may be classified as a 'subwoofer' but for the most part, subwoofers are generally going to be designed specifically to only go to maybe 200Hz, 250Hz or as high as 400Hz, and will typically be constructed of 'heavier duty' materials and design. 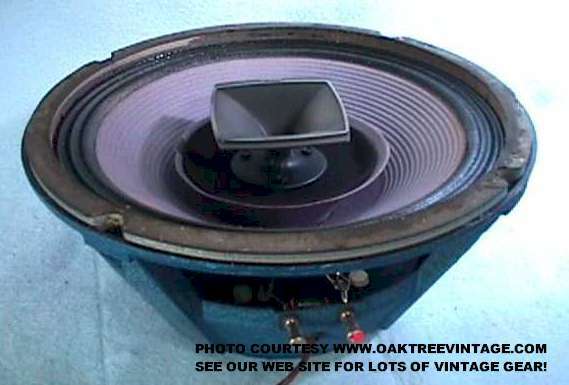 Bottom line is, when you're calling for a replacement woofer for your vintage 1960's, 1970's or 1980's Sansui, Pioneer, Marantz, AR, Boston, Cerwin Vega, Yamaha,….etc, speakers, don't call them 'subwoofers' cause' they probably ain't. If you get me, I will drill down and figure out that you really need woofers and not subwoofers, but you may get someone on the phone at another parts shop, whose qualifying questions at the place he worked last week was, "do you want fries with that" and sell you subwoofer drivers when you really needed woofers. 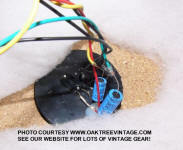 Most of these components are "take-outs" from working speaker cabinets and unless otherwise noted are in perfect shape! Where necessary foam surrounds have been replaced and / or speaker has been professionally and correctly re-coned! Input panels may or may not include any applicable, original tweeter protection fuse holders / caps. mcm electronics Woofers / Woofer OTMCM-55-2985 21"
treated cloth accordion surround, 4" VC. 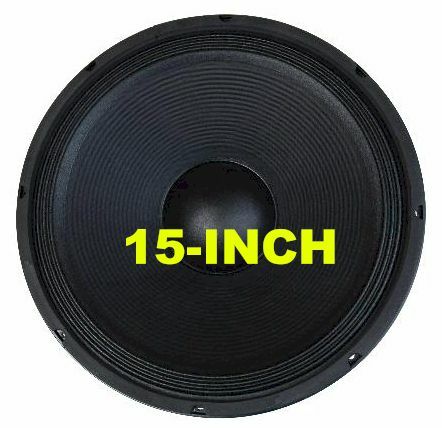 18" WOOFER / 18" SUBWOOFER Woofers / Woofer OTMCM-55-2984 18"
15" WOOFER / 15" SUBWOOFER Woofers / Woofer OTMCM-55-2983 15"
12" WOOFER / 12" SUBWOOFER Woofers / Woofer OTMCM-55-2982 12"
We purchased these speakers with the intent of 'picking them apart', not for parts necessarily, but to 'poke fun at them', which is now what I will do, but with a caveat* at the end. These are the epitome of 'white van speakers'. What, you're not familiar with the term 'white van speakers', or 'white van speaker scam'?...While I haven't seen the 'scam' (ok, lets call it 'creative capitalism') for a while, I've experienced it in person a number of times years ago. It's a business model somewhat similar to the guy that drives around with a freezer in the back of his truck, and yells at you at a stop light, etc. something like, "hey, I've got a freezer full of steaks, and my boss says, "they gotta go", so I'm willing to make a deal on them!". Anyway, these guys would drive around (seemed like in what was almost always a 'white van'), and yell at you while stopped at a traffic light something like, "hey, I've got some '$650 or $1000 STUDIO MONITOR SPEAKERS, that I'm selling for only the crazy low price of $250' (or similar)". Now assuming the light was long enough for you to actually 'ponder' owning some supposedly really expensive speakers for a super low price (forgetting the whole 'traffic light marketing technique' thing) you would follow the 'white van' to the nearest parking lot and purchase these very low end speakers (I'm sorry, 'Studio Monitors') for what was still WAY TOO MUCH money. I could be wrong, but I don't think they were ever sold at any 'real' audio / stereo shops. Maybe a pawn shop with a 'jobber' catalog, or a pseudo audio dealer at the flea market etc. *OK, now the 'caveat'. These speakers actually SOUND GOOD! In-fact, I will say that they sound 'all around good', and yes I am embarrassed to admit that. (so who am I to be so pretentious and so presumptuously expect my opinion to mean so much either negatively or positively. Oh, just poke around on the website and then see if you need to re-ask that). I gave them my normal barrage of testing without doing any of the stuff we normally do to restore / refurb a pair of speakers (I had every intention of 'completely ripping these speakers apart 'verbally' and likely throwing them away once I heard a track or two thru them, however...). I first ran some pink noise thru them to make sure all the drivers were functioning, then swept them with an AF generator from 3kHz down to 10Hz. All the drivers functioned (the attenuators had 'bad spots' in them, which is expected on EVERY speaker), but I positioned them near their uppermost limits on some 'functioning spots'. The AF sweep found no buzzes, fuzzes, farts or anything. First surprise. Next I went straight to one of the most difficult to produce bass notes we use, from TLC's; "Fan Mail" CD, "Scrub" cut at @ 1'25" & 1'35" and they actually performed it pretty well. Now, at this point, I had to start to accept that these speakers might not 'fall apart' sonically quite as quickly as I was expecting. Allison Kraus and Union Station's; "Baby, Now That I've Found You" (exhibits a large and natural sound stage with these speakers), Donald Fagens; "I.G.Y." was 'very solid and puncy', Van Halen's; "Drop Dead Legs" was 'huge and solid', Trapt's; "Headstrong" was a bit 'mushy', but Nickelbacks; "Never Again" ROCKED! Nickle Creeks; "When in Rome" from their "Why Should The Fire Die?" CD was 'open and punchy', Most of our 'Sheffield Drive' was fabulous, numerous cuts from Michael Jackson's 'BAD' CD were 'punchy and solid and were handled with virtually no fatigue' (those are difficult cuts to reproduce well), Don Williams'; DDD version of "Country Boy" was 'open and natural', Jennifer Warne's "Famous Blue Raincoat" was 'reproduced perfectly fine', Calvin Hampton's; "The Wedding March" from "Digital Pipes, The Splendor of the Organ" a digital recording of a cathedral pipe organ, was 'HUGE and OPEN'. Brash symphonic / 'marching band' selections come thru very 'true to recording' and speakers exhibited great headroom capability. Choir music makes them sound about twice as tall as they are, meaning they have a huge 'sound stage'. We also listened to a few other cuts, all digitally recorded and some 'DDD'. They exhibited VERY good 'upper' power handling characteristics. They are able to handle "power" better MUCH than your average speaker. Not simply referring to their wattage rating, but just the way they perform at higher power / volume levels without "falling apart" sonically. We 'stood' on them HARD with our test Hafler 500 watt power amp. At the same time, they were surprisingly efficient at lower volumes. So, bottom line...While I probably wouldn't pay $650 for a pair of these speakers (or purchase anything at a traffic light), for a smaller amount of money, they are a pretty good sounding pair of speakers. We'll use them as 'front line' test speakers (meaning on a test bench, and if an amp 'takes them out', we won't be heartbroken, or we'll use them as another pair of warehouse speakers). FYI. If you wanted to significantly improve these speakers, install a 'real' crossover network, and add much more 'dampening' material. Yes, they're still utilizing cheeeeeezy / inexpensive drivers, but again, they seem to actually function decently. W-1213P-8 12" 125 8 Ohms U 0 Reference info ONLY. but more MAY occasionally show up. Check back periodically. Stamped steel frame, VERY SMALL ceramic magnet, translucent poly cone, foam surround. Good Cond. Works. ACOUSTIC 'STUDIO MONITOR' 3311 ACOUSTIC 'STUDIO MONITOR' 3311 MIDRANGES / MIDS ACOUSTIC 'STUDIO MONITOR' 3311 M-1001-8 1.75"
Cone - 8 Ohms U 0 Reference info ONLY. but more MAY occasionally show up. Check back periodically. Sealed, stamped steel frame, ceramic magnet, Pulp cone, corrugated pulp surround. Good Cond. Works. ACOUSTIC 'STUDIO MONITOR' 3311 ACOUSTIC 'STUDIO MONITOR' 3311 Tweeters / Tweeter ACOUSTIC 'STUDIO MONITOR' 3311 TWEETERS TR-1001-8 1.75"
but more MAY occasionally show up. Check back periodically. Good Cond. Works. ACOUSTIC 'STUDIO MONITOR' 3311 ACOUSTIC 'STUDIO MONITOR' 3311 CROSSOVERS (or lack thereof) / INPUT PANELS - 18.5" x 10.25" Brown cloth. - U 0 Reference info ONLY. but more MAY occasionally show up. Check back periodically. OK, these are NOT really what you would call a 'crossover / network'. There's just a couple of caps to filter the tweeters and mids and a tweeter protection relay. The woofer gets full range and the mid gets full 'top-end'. Functionally they are working as designed. ACOUSTIC 'STUDIO MONITOR' ACOUSTIC 'STUDIO MONITOR' 3311 Grills / Screens / Front Covers - 18.5" x 10.25" Brown cloth. - U 0 Reference info ONLY. but more MAY occasionally show up. Check back periodically. Good Cond. w/ 'Avid' logo intact. Frame good w/ no breaks. 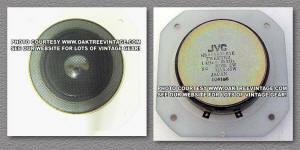 AVID MODEL 100 AVID MODEL 100 Woofers / Woofer DR11 9 137 7619 8" - 8 Ohms U 2 $45. ea Good Cond. Works. non-deteriorating Butyl surround. AVID MODEL 100 AVID MODEL 100 Tweeters / Tweeter DR 120 197 76 1.75"
Cone - 8 Ohms U 1 $35. ea Good Cond. Works. AVID AVID MODEL 100 Grills / Screens / Front Covers - 18.5" x 10.25" Brown cloth. - U 2 $30. ea Good Cond. w/ 'Avid' logo intact. Frame good w/ no breaks. CELESTION Celestion DL4 Celestion DL4 Woofer LX2 6.5" - - U 0 Reference info ONLY. CELESTION Celestion DL4 Celestion DL4 Tweeter LX1 1" Dome - - U 0 Reference info ONLY. but more MAY occasionally show up. Check back periodically. Huge Ceramic Magnet. Titanium dome? 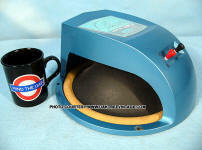 CELESTION ROLA Celestion DITTON Tweeter Power Cell-20 Tweeter 'Bullet Tweeter' ~20 Watts 8 Ohms U 0 Reference info ONLY. 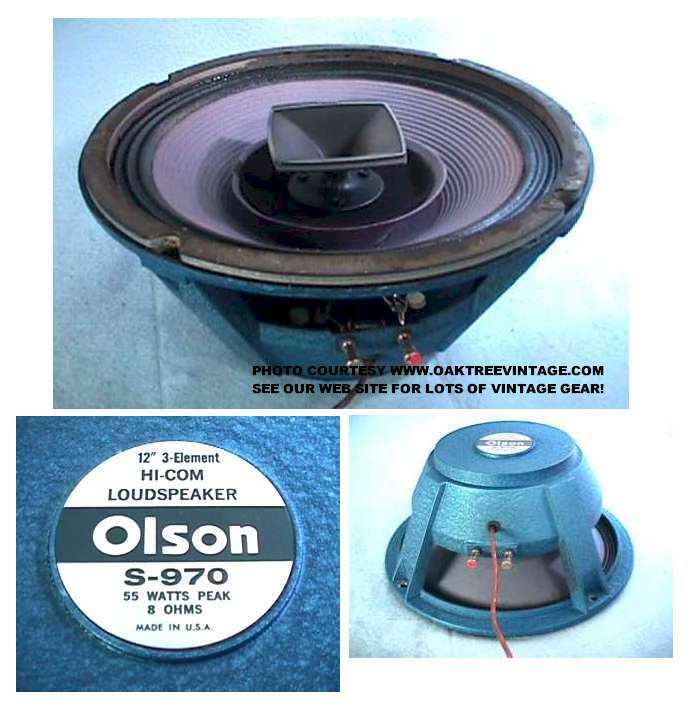 CELESTION ROLA Celestion DITTON 66 Tweeter Ditton 66 Tweeter ~1.5" Mylar Cone - DCR = 4.9 Ohms U 0 Reference info ONLY. but more MAY occasionally show up. Check back periodically. AlNiCo magnet. DCR = 5.2 Ohms U 1 $35. ea Black Poly Cone, stamped steel frame, ceramic frame. Works, but missing dust cap. New / fresh foam surround installed. DCR = 6.8Ω U 0 Reference info ONLY. DCR = 6.4Ω U 0 Reference info ONLY. FOCAL FOCAL 165KRX2 FOCAL WOOFERS 165KRX2 6.5"
Down to 70Hz 100 Watts 4 Ohms U 0 Reference info ONLY. but more MAY occasionally show up. Check back periodically. Butyl Rubber surround. Cast Frame. Ceramic Magnet. FRAZIER MARK V / 5 FRAZIER WOOFERS - 12" - 8 Ohms U 0 Reference info ONLY. but more MAY occasionally show up. Check back periodically. Stamped steel frame, AlNiCo magnet, w/ bell cover, 'Blue' finish, Pulp cone. Circa 1963-76 (possibly). FRAZIER MARK VI / 6 / F-12-8? 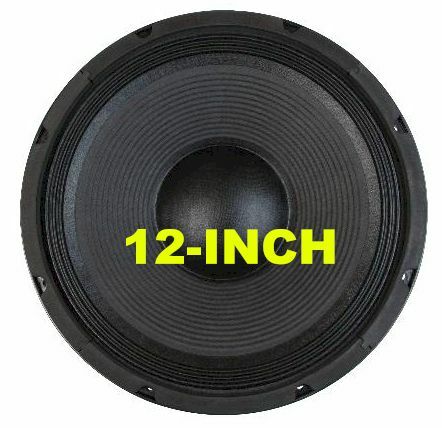 FRAZIER WOOFERS F-1270 12" ~30 Watts? 8 Ohms U 0 Reference info ONLY. but more MAY occasionally show up. Check back periodically. Stamped steel frame, AlNiCo magnet, Pulp & 'ribbed' cone. Circa 1963-76 (possibly). 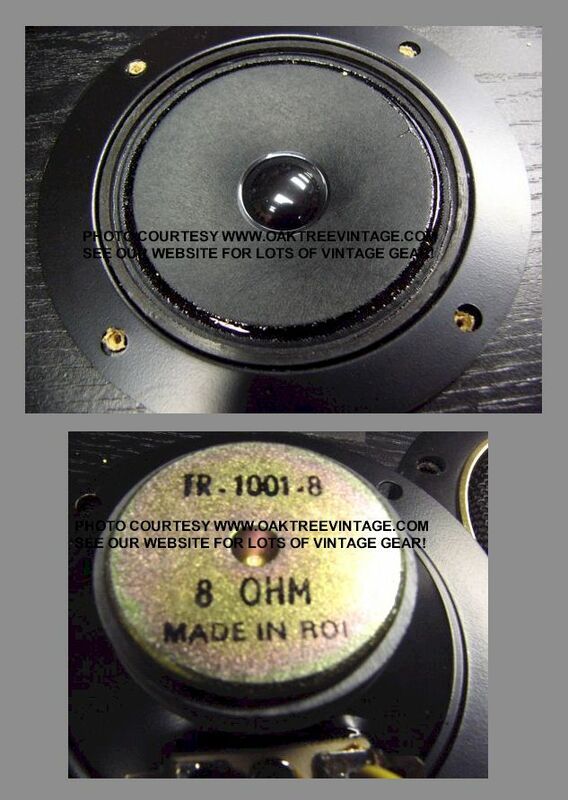 - FRAZIER WOOFERS F-1028 10" - 8 Ohms U 0 Reference info ONLY. but more MAY occasionally show up. Check back periodically. Stamped steel frame, Ceramic magnet, pulp cone, Blue finish, 'vented' dust cap, 'red' coated cloth suspension. 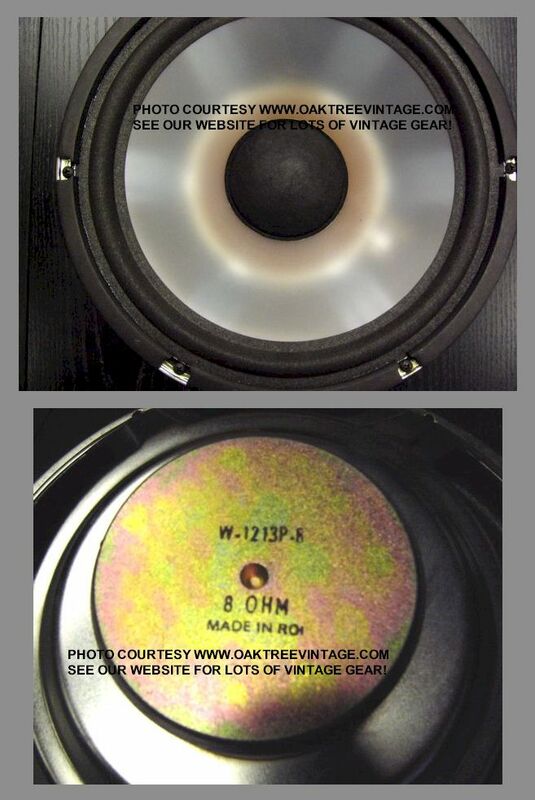 - FRAZIER WOOFERS F-1500 8" - 8 Ohms U 0 Reference info ONLY. but more MAY occasionally show up. Check back periodically. Stamped steel frame, Ceramic magnet, pulp cone, 'vented' dust cap, coated cloth suspension. DCR = ~6.8-7 U 0 Reference info ONLY. but more MAY occasionally show up. Check back periodically. Stamped steel frame, Ceramic magnet, pulp cone, 'red' spider, coated cloth suspension. but more MAY occasionally show up. Check back periodically. Cast aluminum horn, ceramic magnet driver. DCR = 7.1Ω U 0 Reference info ONLY. 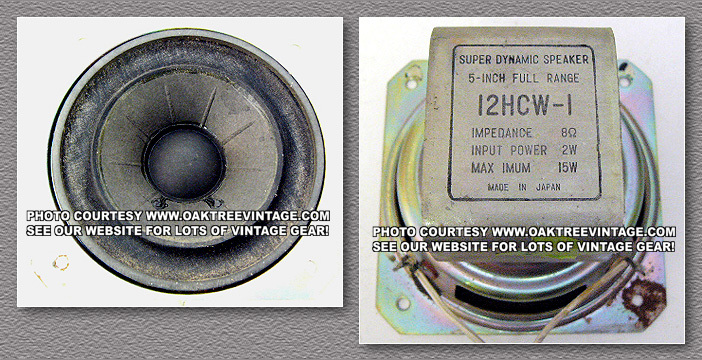 HSW1101-01A / 075133 4" 120 Watts 8 Ohms U 0 Reference info ONLY. KEF SP3058 8" 100 Watts 8 Ohms U 0 Reference info ONLY. but more MAY occasionally show up. Check back periodically. Poly Cone. Butyl Rubber Surround. Ceramic Magnet, Stamped steel frame. KEF SP1092 8" ? 6 Ohms U 0 Reference info ONLY. but more MAY occasionally show up. Check back periodically. Coated Paper Cone. Inverted Butyl Rubber Surround. Ceramic Magnet, Stamped steel frame. KEF B200Type SP1088 8" ? 6 Ohms U 0 Reference info ONLY. but more MAY occasionally show up. Check back periodically. Paper Cone. Inverted Butyl Rubber Surround. Ceramic Magnet, Stamped steel frame. KEF SP1309 B160 6.5" ? - U 0 Reference info ONLY. DCR= 7.2 U 0 Reference info ONLY. but more MAY occasionally show up. Check back periodically. Paper cone. Stamped Steel frame. Ceramic Magnet. Foam surrounds. 3-Bolt mounting flange. DCR= ?? U 0 Reference info ONLY. KEF SP1069 8" (or 10" ?) ? 16 Ohms U 0 Reference info ONLY. but more MAY occasionally show up. Check back periodically. Paper cone. Stamped Steel frame. Ceramic Magnet. Butyl Rubber surrounds. 3-Bolt mounting flange. Internal volume: 40.4 litres 8 Ohms? U 0 Reference info ONLY. but more MAY occasionally show up. Check back periodically. Poly cone. Stamped Steel frame. Ceramic Magnet. Butyl Rubber surrounds. KEF TYPE T33B SP1086? 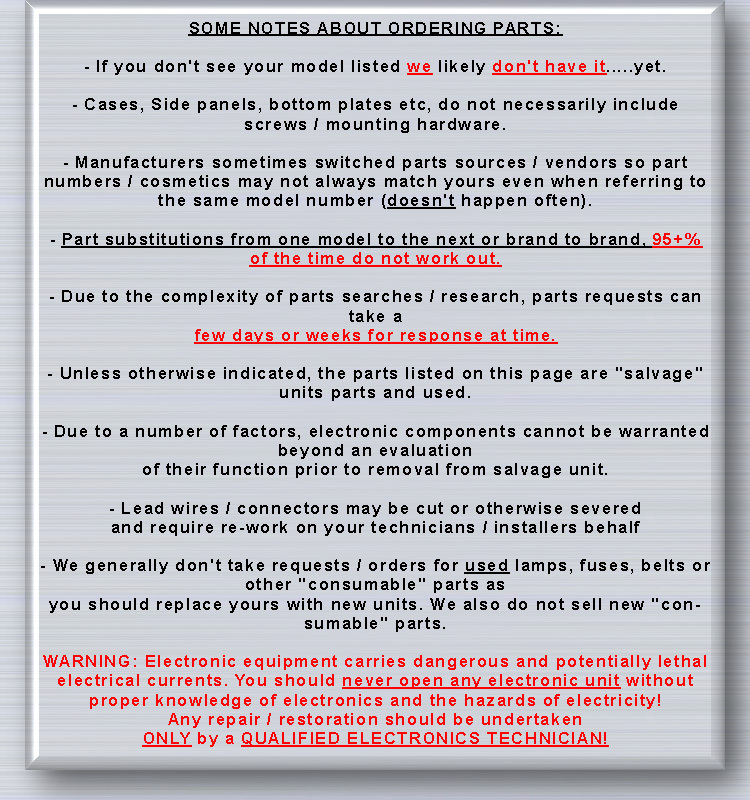 1" 4 Ohms U 0 Reference info ONLY. but more MAY occasionally show up. Check back periodically. Coated Fabric soft dome. KEF TYPE SP1032 1" 8 Ohms U 0 Reference info ONLY. but more MAY occasionally show up. Check back periodically. Poly soft dome. KEF TYPE SP1211 1" Mounting Plate 4-5/16" x 3-1/4" 6 Ohms U 0 Reference info ONLY. KEF T33 TYPE SP1210 1" 4 Ohms U 0 Reference info ONLY. KEF TYPE SP1087 / SP1088 1" 6 Ohms U 0 Reference info ONLY. (Made in Japan, Not England) 1" 6 Ohms U 0 Reference info ONLY. DCR=6.1 U 0 Reference info ONLY. KEF TYPE T27 SP1032 1" 8 Ohms U 0 Reference info ONLY. but more MAY occasionally show up. Check back periodically. dome. 610 / 100W1201 4" 40 Watts 4 Ohms U 0 Reference info ONLY. but more MAY occasionally show up. Check back periodically. Paper Cone. Foam Surround. Stamped steel frame. 802 / 114108 8" ? 8 Ohms U 0 Reference info ONLY. but more MAY occasionally show up. Check back periodically. Poly Cone. Foam Surround. Stamped steel frame. DCR=6.4 Ohms U 0 Reference info ONLY. but more MAY occasionally show up. Check back periodically. Poly Cone. Poly dust cap. Butyl Rubber Surround. Ceramic Magnet, Stamped steel frame. DCR=5.5 Ohms U 0 Reference info ONLY. but more MAY occasionally show up. Check back periodically. Coated, ribbed paper Cone. Poly dust cap. Foam Surround. Ceramic Magnet, Stamped steel frame. AV33 / 114108T 8" 140 Watts 8 Ohms U 0 Reference info ONLY. but more MAY occasionally show up. Check back periodically. Poly Cone. Foam Surround. AV shielded, Ceramic Magnet w/ 'bucking' magnet attached to rear, Stamped steel frame. 10-55725 10" ? 8 Ohms U 0 Reference info ONLY. but more MAY occasionally show up. Check back periodically. Paper Cone. Foam Surround. Ceramic Magnet, Stamped steel frame. DCR=4.8 Ohms U 0 Reference info ONLY. but more MAY occasionally show up. Check back periodically. Poly Cone. Foam Surround. Ceramic Magnet, Stamped steel frame. but more MAY occasionally show up. Check back periodically. Coated Paper Cone. Inverted Surround. AlNiCo Magnet, Cast frame. DCR=4.2 U 0 Reference info ONLY. but more MAY occasionally show up. Check back periodically. Coated Paper Cone. Inverted Surround. Ceramic Magnet, Stamped steel frame. Mounting hole to hole : 9 3/4" , flange-10 1/8" diameter ? 4 Ohms U 0 Reference info ONLY. but more MAY occasionally show up. Check back periodically. Paper Cone. Inverted cloth surround. Ceramic Magnet, Stamped steel frame. TWENTY 10" ? x U 0 Reference info ONLY. but more MAY occasionally show up. Check back periodically. Coated Paper Cone. Inverted cloth Surround. Ceramic Magnet, Stamped steel frame. 7.5 lbs ? DCR=4.3 Ohms U 0 Reference info ONLY. TWENTY-FOUR 8" ? DCR=5.3 Ohms U 0 Reference info ONLY. DCR=7.1 Ohms U 0 Reference info ONLY. but more MAY occasionally show up. Check back periodically. Coated paper. Stamped steel frame. Vented magnet. Butyl rubber surrounds. 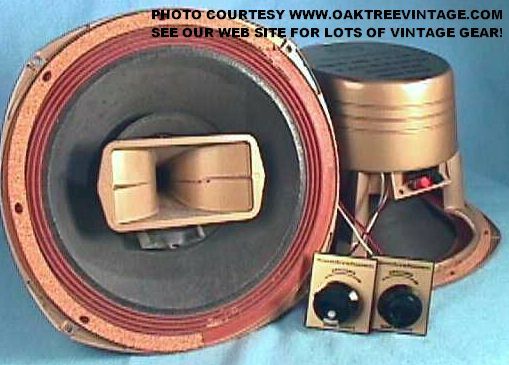 9708111 5.25" 50 Watts 4 Ohms U 0 Reference info ONLY. S90753 12" - - U 0 Reference info ONLY. Midranges 841-1095-000 4" - - U 0 Reference info ONLY. but more MAY occasionally show up. Check back periodically. Ribbed paper cone. Stamped steel frame. Spade terminals. Paper surround. Ceramic magnet. Tweeters 841-1096-000 / EAS-25K1111S 1" - 8 Ohms U 0 Reference info ONLY. DCR= 6.6 Ohms U 0 Reference info ONLY. but more MAY occasionally show up. Check back periodically. Round ceramic magnet. Coated pulp cone. Coated cloth surround. Stamped steel frame. DCR= 4 Ohms U 0 Reference info ONLY. Midranges 841-1049-000C / S60003 ~4.5" 10 Watts 6 Ohms U 0 Reference info ONLY. but more MAY occasionally show up. Check back periodically. AlNiCo magnet. Sealed back. Cloth surround. 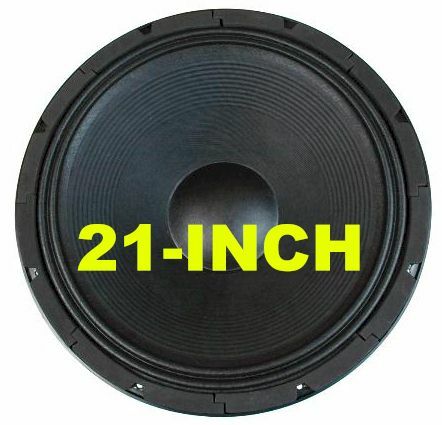 (J72TFN) 10" - 8 Ohms U 0 Reference info ONLY. but more MAY occasionally show up. Check back periodically. Appears to be 'cast aluminum frame' from the front, but that is only a cast aluminum 'beauty ring'. The driver is actually typical 'stamped steel'. (see also HD-660, HD770, HD880) ~4"
Frequency Response; 750-2.3kHz - 8 Ohms U 0 Reference info ONLY. but more MAY occasionally show up. Check back periodically. Appears to be 'cast aluminum frame' from the front, but that is only a cast aluminum 'beauty ring'. The driver is actually typical 'stamped steel'. Pulp cone. Corrugated surround. (see also HD-660, HD770, HD880) Poly Dome Tweeter - 8 Ohms U 0 Reference info ONLY. 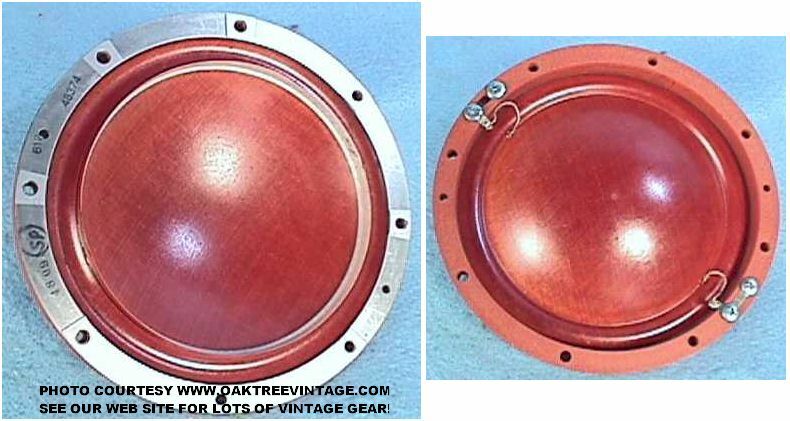 Flange 4.75" across - 8 Ohms U 0 Reference info ONLY. but more MAY occasionally show up. Check back periodically. Soft dome. K73TNB or 182TNB etc...(last series of numbers not important) 10" - 8 Ohms U 0 Reference info ONLY. 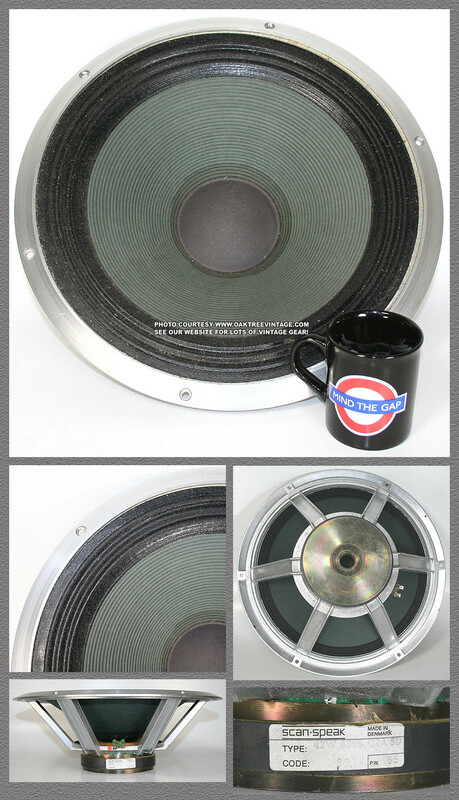 'Trim Rings' for Woofer - 10" - N/A U 2 $25. pair, As-Is Cast aluminum alloy woofer trim ring. Surface discoloration. Could possibly be cleaned or painted. Tweeters SJ-8G1A-16? Bullet Tweeter? - 8 Ohms U 0 Reference info ONLY. DCR=6.6 Ohms U 0 Reference info ONLY. MARANTZ MARANTZ IMPERIAL IV / 4 Woofers / Woofer 552 8"
Freq range ~50Hz-2kHz - 8 Ohms U 0 Reference info ONLY. but more MAY occasionally show up. Check back periodically. AlNiCo magnet. Soldered terminals. Cloth surround. 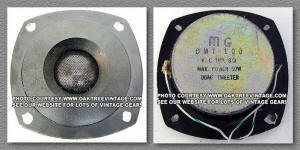 MARANTZ MARANTZ IMPERIAL IV / 4 Tweeters / Tweeter 4552 2"
Cone - 8 Ohms U 1 $30. ea Good Cond. Works. MARANTZ MARANTZ IMPERIAL IV / 4 Grills / Screens / Front Covers - 16 3/4" x 8 7/8" 'Burnt Orange' weave w/ silver threads - U 1 $30. ea Good Cond. w/ 'Marantz' logo intact. Frame good w/ no breaks. 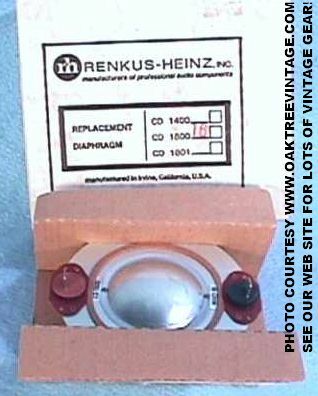 Midranges 841-1030-100C / CO85M01 ~4" - 8 Ohms U 0 Reference info ONLY. but more MAY occasionally show up. Check back periodically. Ceramic magnet. Foam surround. 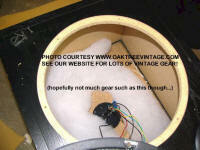 Midranges SF-12G10-02 ~4 - 8 Ohms U 0 Reference info ONLY. but more MAY occasionally show up. Check back periodically. Cast aluminum frame. Coated Cloth surround. DCR = 3.4 U 0 Reference info ONLY. but more MAY occasionally show up. Check back periodically. Good Cond. Pulp cone, stamped steel frame, coated cloth surround. but more MAY occasionally show up. Check back periodically. Works, but has 1" 'cut' in cone, between dust cap and surround. Pulp cone, stamped steel frame, coated cloth surround. DCR = 3.0 U 0 Reference info ONLY. but more MAY occasionally show up. Check back periodically. Works, but has tear in cone, between dust cap and surround. Good Cond. Pulp cone, stamped steel frame, coated cloth surround. but more MAY occasionally show up. Check back periodically. Works, but has tear in cone, between dust cap and surround. Pulp cone, stamped steel frame, coated cloth surround. DCR = 6.7 U 0 Reference info ONLY. but more MAY occasionally show up. Check back periodically. Good Cond. With the "EAS" prefix, that indicates these were likely made by Matsushita, the parent company of Technics / Panasonic. PASSIVE RADIATOR 841-1126-000 8' Passive Radiator - N/A U 0 Reference info ONLY. Input panel / crossover / dividing network 3-Way Crossover - N/A U 0 Reference info ONLY. but more MAY occasionally show up. Check back periodically. Spring clips good. All works fine. 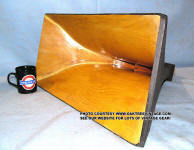 Speaker Grills / front cover / Screens 31.75" H x 10" W - N/A U 0 Reference info ONLY. but more MAY occasionally show up. Check back periodically. Great cond. No snags, holes, tears, stains, cat pee or anything. Black knit cloth perfect. Frames solid with not breaks, past or present. All locating pins are intact. All in all, they're perfect. tweeter - 8 Ohms U 1 single $95. ea. DCR = 4.5 U 0 Reference info ONLY. but more MAY occasionally show up. Check back periodically. Poly cone. Butyl Rubber Surround. Stamped steel frame. Vented motor. 2-piece, ceramic magnet. 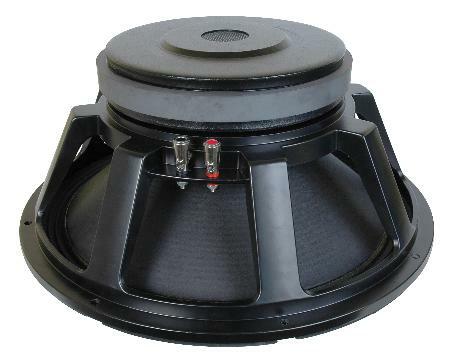 BLACK WIDOW Woofer 1505DT 15"
Field replaceable basket (cone / frame), Cellulous cone, Coated / Accordion cloth surround, Cast alloy frame, Vented Magnet, Ceramic Magnet, 'push type connectors. I purchased these new in about '95-97 for a pair of 'Dynamite' brand, horn loaded, long-throw, mid cabinets. I never found any appropriate 'W-Bin' subwoofer cabinets to match them, so other than testing them once loaded in the cabinets with an AF sweep generator to test for 'vibrations / anomalies' they've not been used. Just dusty from being loaded in cabinets for the past 20 years. DCR = 6.5Ω U 0 Reference info ONLY. but more MAY occasionally show up. Check back periodically. Poly coated, pulp cone. Poly coated, pulp dust cap. Foam Surround. Cast, polycarbonate frame with molded in 'beauty ring' (does not impede surround replacement). Ceramic magnet. Dual sized, spade lugs for each polarity. PSB PSB 1000 PSB Woofer VIFA TC25-TG05 1" - DCR = 4.5Ω U 0 Reference info ONLY. but more MAY occasionally show up. Check back periodically. Soft Silk, domed tweeter. Cast, polycarbonate frame with molded in 'beauty ring' (does not impede surround replacement). Ceramic magnet. DCR = 7 U 0 Reference info ONLY. 2422-257-35102 / AD 5060/MB / 51-69-AH. 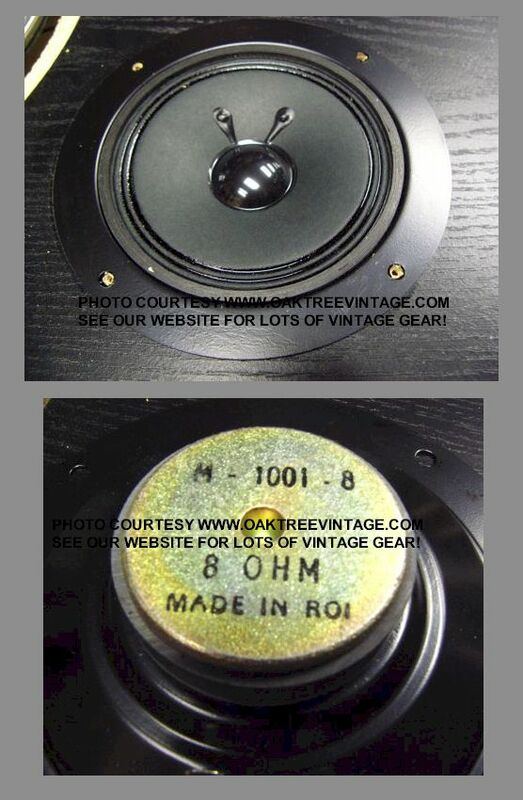 made in Holland ~5" likely 8-15 8 Ohms U 0 Reference info ONLY. but more MAY occasionally show up. Check back periodically. Pulp cone w/ Whizzer. Stamped cone. AlNiCo magnet. 42W/6300 15.75" ~200 8 Ohms U 0 Reference info ONLY. but more MAY occasionally show up. Check back periodically. Coated accordion Surround. Ribbed Paper cone. 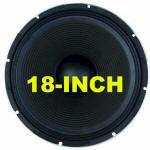 18W/8531G 6.5" ~100 8 Ohms U 0 Reference info ONLY. but more MAY occasionally show up. Check back periodically. Butyl Rubber Surround. Poly cone. 18W/8545-00 6.5" ~100 8 Ohms U 0 Reference info ONLY. 21W/6554 8" ~100 8 Ohms U 0 Reference info ONLY. 710003/2 1" ? 8 Ohms U 0 Reference info ONLY. 851100 .75" ? 8 Ohms U 0 Reference info ONLY. but more MAY occasionally show up. Check back periodically. Non-Ferrofluid version. Coated cloth soft dome tweeter. 851200 .75" ? 8 Ohms U 0 Reference info ONLY. but more MAY occasionally show up. Check back periodically. Ferrofluid version. D2905/9000 1" 150 Watts RMS 6 Ohms Nominal U 0 Reference info ONLY. D2010 / 8513-00 .75" ? 8 Ohms U 0 Reference info ONLY. but more MAY occasionally show up. Check back periodically. Coated cloth soft dome tweeter. 30W/0-00 12" 56mm peak excursion N/A U 0 Reference info ONLY. but more MAY occasionally show up. Check back periodically. Black anodized, Aluminum cone. Butyl Rubber Surround. Cast Frame. Nomex spider. Fiberglass/Paper Sandwich Dust Cap. P21REX-TH H367 Woofer P21REX-TH H367 8" ? 8 Ohms U 0 Reference info ONLY. but more MAY occasionally show up. Check back periodically. Poly cone.Huge ceramic Magnet. Cast frame. Butyl Rubber Surround. CA12RCY H1152-08 MIDRANGE CA12RCY H1152-08 4.5" ? 8 Ohms U 0 Reference info ONLY. but more MAY occasionally show up. Check back periodically. Paper cone.Huge ceramic Magnet. Cast frame. Butyl Rubber Surround. 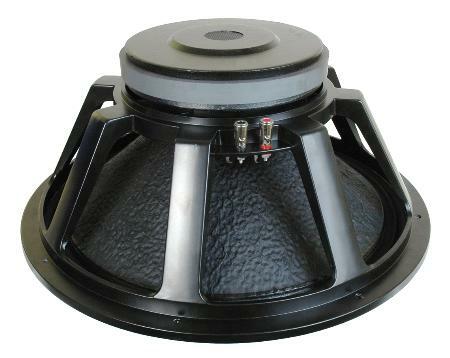 L12RCY/P H1207-08 MIDRANGE L12RCY/P H1207-08 4.5" ~40 8 Ohms U 0 Reference info ONLY. but more MAY occasionally show up. Check back periodically. Aluminum cone. A High Temperature voice coil wound on an Aluminum voice coil former. Huge ceramic Magnet. Cast frame. Butyl Rubber Surround. Max. coil travel: 9 mm (p-p) ~40 8 Ohms U 0 Reference info ONLY. but more MAY occasionally show up. Check back periodically. Huge Vented Magnet. Cast frame. Butyl Rubber Surround. Magnesium cone. 702-08 ~5.25" ~40 8 Ohms U 0 Reference info ONLY. but more MAY occasionally show up. Check back periodically. Huge Vented Magnet. Cast frame. Butyl Rubber Surround. Pulp cone and inverted dust cap. DCR=6.5 Ohms U 0 Reference info ONLY. but more MAY occasionally show up. Check back periodically. SONOTEX fabric soft dome tweeter. Ferrofluid cooled VC. 94mm faceplate, 66mm cutout. DCR=5.1 Ohms U 0 Reference info ONLY. 27TBFC/G H1212-06 TWEETER 27TBFC/G H1212-06 1" ? ? U 0 Reference info ONLY. DCR = 4.7 U 0 Reference info ONLY. 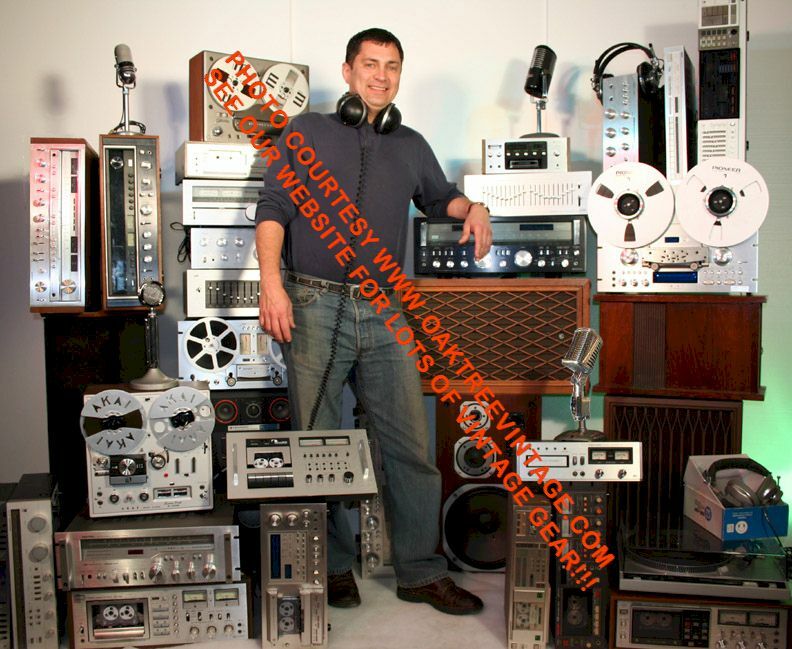 DCR = 4.7Ω U 0 Reference info ONLY. H-086 TWEETER H-086 1" or 1.5" ? 8 Ohms U 0 Reference info ONLY. 4 Ohms min. U 0 Reference info ONLY. but more MAY occasionally show up. Check back periodically. 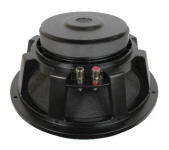 Coated cloth soft dome tweeter. AlNiCo magnet. H-107 TWEETER H-107 1" ? 6 Ohms U 0 Reference info ONLY. 2640TX 12" with 3.25 x 6"
- Full Range / Super Dynamic Speaker 12HCW-1 5" 15 watts 8Ω U 0 Reference info ONLY. & SP Voice coil is 3 3/4" - - N 0 Reference info ONLY. The above diaphragms' brand is unknown at this time. They may be Altec, Western Electric, JBL or another. knows for sure what brand these are or any other info feel free to email us. 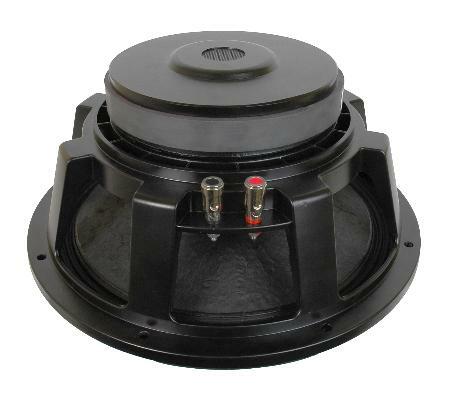 328517 12" Woofer, with whizzer cone for mids and coaxial tweeter. Filter cap installed on tweeter. Cloth Surround. 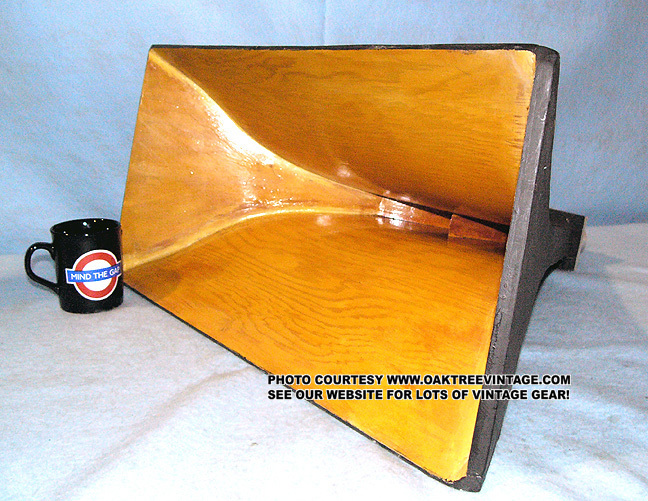 UTAH CELESTA C12PC-3 12" w/ 5.5" whizzer cone and 3.5" pole mounted tweeter. Can easily be bi-amped as well Cast Frame and AlNiCo Magnets 8 Ohms U 0 Reference info ONLY. but more MAY occasionally show up. Check back periodically. No tears, dents or creases to the woofer cone, surround or whizzer cone. Very clean. Tested Perfect and Works great! 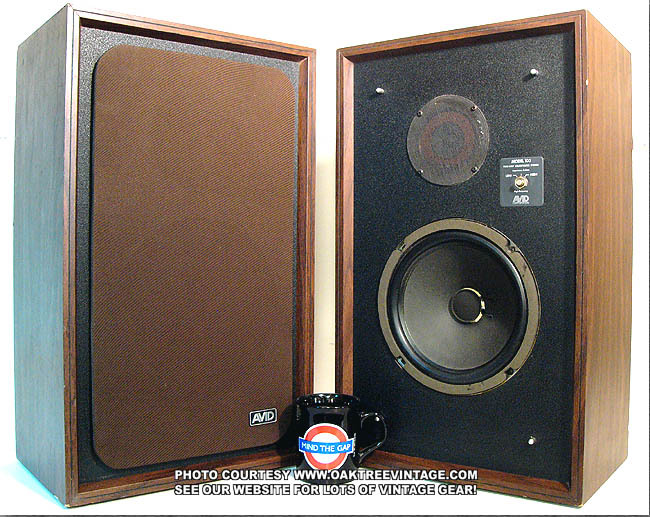 MATCHED PAIR WOOFERS 754A 12" - - U 0 Reference info ONLY. Throat opening of aluminum adaptor 5/8"
Thread diameter ~ 1.25"+ 12" - - U 0 Reference info ONLY. 3-Bolt. Looks like many Bose drivers like a later 901 style (except those were 1 ohm) 4 U 0 Reference info ONLY. 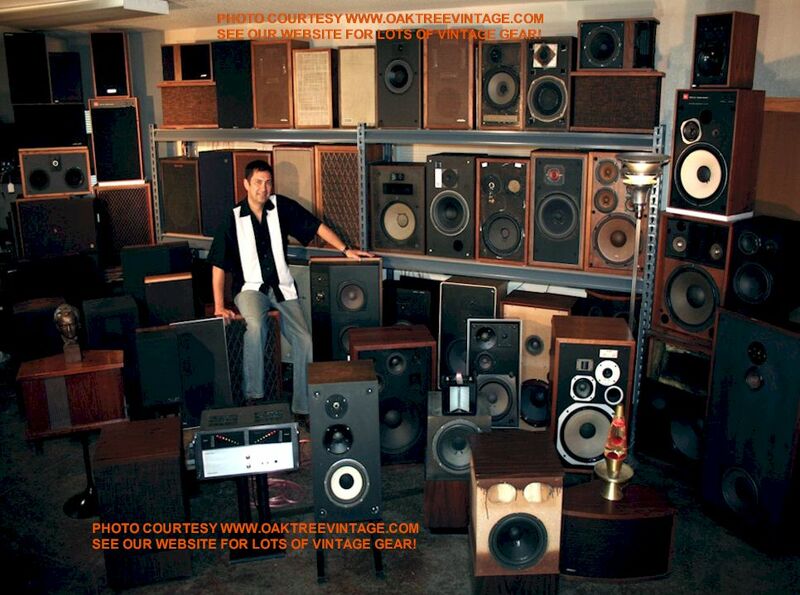 OUR 'RESTORED VINTAGE STEREO SPEAKERS PAGE' LINK HERE . . .